Announcing our 2017 Undiscovered Voices Fellow: Julia Tagliere! Each year, The Writer's Center awards a Washington, DC area writer earning less than $25,000 per year with this exclusive fellowship. We believe that writers of all backgrounds and experiences should have an opportunity to devote the time and energy toward their craft. Of the many qualified applicants, this year's winner was Julia Tagliere, who submitted a short story that wow-ed our judges. Ms. Tagliere is a freelance writer and editor whose work has appeared in The Writer, The Bookends Review, Potomac Review, and Hay & Forage Grower (yes, that’s a thing), as well as in several anthologies, including Here in the Middle: Stories of Love, Loss, and Connection from the Ones Sandwiched in between; Candlesticks and Daggers—An Anthology of Mixed Genre Mysteries; the juried photography and prose collection Love + Lust; and The Way to My Heart: An Anthology of Food-Related Romance. Her short story, “Te Absolvo,” was named Best Short Story in the 2015 William Faulkner Literary Competition. Julia currently resides in Maryland with her family, where she recently completed her M.A. in Fiction Writing at Johns Hopkins University. To learn more, visit her at justscribbling.com. Our Development & Community Outreach manager, Bethany Perryman, caught up with Ms. Tagliere. Bethany: First of all, congratulations on winning our Undiscovered Voices prize for 2017! We are so excited for you to be a part of our prestigious cadre of writers and literature lovers. Your short story was selected by judges as the best of many qualified candidates. How does it feel? Julia: I'm incredibly honored and excited to see what the year ahead will bring. BP: You've also won other prizes for your short stories. Can you tell us what you think makes a great short story? JT: As a writer, there's no way to answer that without sounding like far more of an expert than I consider myself to be at this point in my writing--I mean, if there is a formula, I'd certainly love to learn it. As a reader, however, I find that the stories I most appreciate, first and foremost, move me in a way that lingers long after I've finished reading. It could be a really well-developed character, an unexpected twist in the narrative, lush imagery or rich, vivid language; in the best stories, all of those elements are present. BP: I'm personally curious: What's your process when you begin a new story? Do they come to you in a flash or inspiration, or...? JT: Flash implies a much speedier process than what I normally experience. Sometimes the inspiration comes from an image or a feeling, a face I see, maybe something I see on the news. That thing, whatever it is, gets stuck in my mind like a grain of sand in an oyster, and I find myself coming back to it over and over again, worrying at it. It either drives me crazy, or it starts to grow and take shape into what I think might be a workable piece--usually both, if I'm being totally honest. BP: What are your plans for your next year at The Writer's Center? Any books or stories in the works? JT: I have a novel in progress I've been twiddling away at for a while now, and I'm planning to use this next year with TWC to finally complete it. BP: What's the biggest setback you've encountered in your writing career? How do you deal with it? JT: My biggest setback was probably being rejected repeatedly by a particular M.A. program some years back. It really stung for a while, to keep applying and keep being rejected. But I understand now that I wasn't prepared at that time--I had a lot of growing I needed to do as a writer to be ready for a program of that nature. I dealt with it by spending the next several years after my third and final rejection doing a lot of reading, independent studying, and connecting with other writers to try to reach a point where I felt comfortable applying again. BP: What's your favorite type of writing to do, and why? Tell us a little more about what turns your gears. JT: I used to think I preferred writing novels, but since I've been working more in shorter forms lately (short stories, flash), I must confess, I enjoy the greater frequency of those moments of gratification that come from actually completing a story. Those moments take so long to arrive when writing a novel; it's easy to become discouraged. BP: Any last words of advice for students at the Center and other aspiring or emerging authors? What about for writers who are hoping to enter contests and fellowships? What's your secret, besides great work?! JT: Writing can be a very lonely business, if you let it be. Step away from your keyboard for a while and engage with other writers. Take classes, attend conferences, engage with folks online via social media, form a writing group of your own, support local writers in their endeavors. 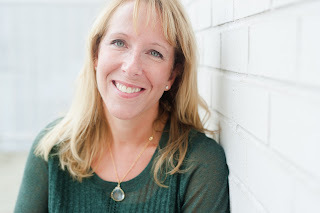 Those connections not only can sustain you when you get down in the dumps about a given work-in-progress--and you will--but they can also help you learn about opportunities that will contribute to your growth as a writer. That's what it's all about, isn't it? For more information about the Undiscovered Voices Fellowship, please contact Bethany at b@writer.org. Meet Mariposa participants and Maritza Rivera during a reading at The Writer's Center on Sunday, August 13 at 2 p.m.
A writer is a powerful force, but communities are the foundation of society. To strengthen that foundation, writers may retreat into nature and each other, into worlds of words and ideas that come to shape the broader communities to which they belong. Maritza Rivera has published several collections of poetry, been awarded local and international poetry grants, and since 2011, has run the annual Mariposa Poetry Retreat. The weekend opportunity invites 25 writers to step deeper into their work and away from the stresses of daily life. I recently spoke with Rivera about her work as a mother, a soldier, an artist, and a community leader. When asked what set her venture apart from others, she said, “I like to know everyone by name.” Her warm and friendly demeanor draws people in, and they look to her as a leader. This closeness has resulted in success, as “there have been occasions when participants from a previous year became faculty in a subsequent year . . . that’s part of what creates community.” This personable and community-based strategy works. "[Approximately] 50% of people who have been before, 50% new [people]”make up her yearly retreat. Rivera pairs past attendees with new ones in shared rooms that create a tight learning community. Participants come to see this tightness as part of the formula. The popular retreat and its spirit of community as resulted in sponsorship. These writers are dedicated to the success of their peers, and they donate registration fees anonymously. Rivera calls the attendees and teachers at her retreat the “Mariposa Family.” This family is the reason she organizes reunion readings for former participants in the retreat, so that they can come together and strengthen the bonds of the community they have built. My conversation with Ms. Rivera ended with a more personal discussion of her time in the military and the influence of military on her life generally. Brought up in what she called a traditional Puerto Rican household, she said “it was marriage versus army and I picked army.” She did not regret her military experience, but she was more affected by the experience of her two children, both of whom went on to serve. The work Rivera said she is most proud of, a book of poetry titled “A Mother’s War,” came out of her experience as a mother to two soldiers. Washington Post reporter Dan Zak discusses his book Almighty, which covers the history and politics of the United States’ relationship to atomic power. From the race to create the bomb to today’s concerns of nuclear proliferation and the threat of a nuclear terror attack, Almighty covers the highs and lows of the United States and its most dangerous weapon. Zak will discuss his book and nuclear issues with Denise Kiernan, journalist and author of The Girls of Atomic City. Tracy Crow and Jerri Bell, both female former military officers, discuss their book on the history of women’s contribution to the United States’ armed forces. Their book sees through the eyes of women on the field to give voice to the trials and successes of American women in war. With accounts taken firsthand from memoirs, letters, diaries and oral histories, this is a new telling of an otherwise incomplete history. 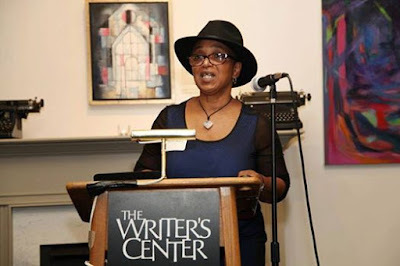 The Writer’s Center welcomes Undiscovered Voices Fellowship winner Margaret Sessa-Hawkins, novelist Keith Fentonmiller, writer Donald Illich and author CL Bledsoe for a night of reading from their works. Featured readings will come from Illich’s recent chapbook, The Art of Dissolving, from Katzen Mutzenmacher’s Cursed Hat and from other works. Award-winning journalist Michael Deibert presents his work on Haiti’s recent history. From two decades of reporting on Haiti, Deibert composes an insightful analysis of Haitian hope and heroism in pursuit of the construction of their own nation. Kyle Dargan, the Director of Creative Writing at American University, Tiphanie Yanique, award winning author and professor at The New School, and Sheri Booker, winner of an NAACP image award, are featured readers at this presentation of work from the Hurston/Wright foundation’s summer workshop. Gillian Thomas, a senior attorney for the ACLU Women’s Rights Project, will read from and discuss her new work on the fight for women’s rights in the workplace. Thomas looks through the lens of ten civil rights cases brought by women in order to receive the rights guaranteed to them by Title VII of the Civil Rights Act of 1964. The book exposes lesser known heroines in the struggle for women’s rights. Erik Love, associate professor of sociology at Dickinson College, presents his exploration of civil rights advocacy and its weaknesses. Love finds startling holes in American civil rights protections and the systems that allow survivors of hate crimes, prejudice and social exclusion to fight for their rights. The Writer’s Center welcomes Marita Rivera to present a reading by participant poets of the Mariposa Writer’s Retreat, which she leads. Anne Petersen offers an approachable analysis of the way a few celebrity women act to push the boundaries of what it means to be an “acceptable” woman. From Kim Kardashian to Hilary Clinton, Petersen uses her expertise in celebrity culture to define an increasingly common form of feminine power. Award winning contributors and editors of The Little Patuxent Review gather to present work from recent issues. Readers will include the widely published Ann Bracken, Clarinda Harris, Jean Kim and Steven Levya. Professor of Humanities at Columbia University, Mathew Lilla, talks with Vox Interview writer Sean Illing about his new work on the failure of identity politics as the basis of left-wing political strategy. Lilla argues that progressives must embrace solidarity and encourage policies that will help all Americans. A continuation of the ideas in his New York Times op-ed, The Once and Future Liberal: After Identity Politics offers a new way forward for the Democratic Party.